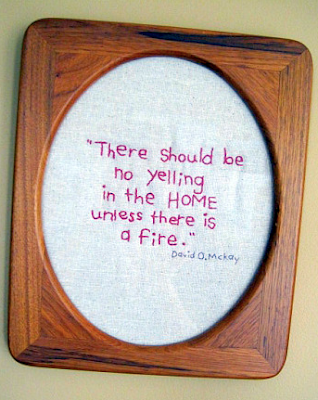 "There should be no yelling in the home, unless there is a fire." I saw this on Krista's blog. Such a good motto to live by! thanks for posting it! love reading your blog!